Limited Edition Retro Style DetailedImage.com T-Shirt! Show your love for Detailed Image with this soft style cotton T-Shirt! This crewneck tee is made of 90% cotton and 10% polyester and features a double-needle stitched neckline and sleeves for increased durability. 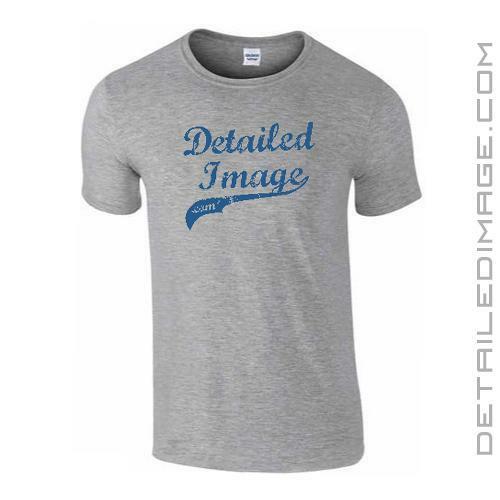 The DetailedImage.com script across the chest stands out with a bold classic look in a beautiful grey and blue color combination. 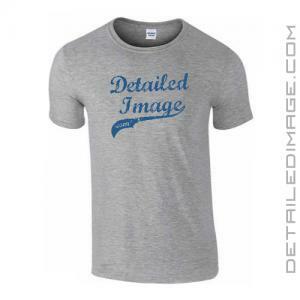 Show your support for DI when detailing or around the town with this comfortable T-Shirt! This is a limited run t-shirt so get it while supplies last! SOFT, fits well, comfortable, classy look. Who wouldn't want to rep a great company! My FAVORITE shirts. Super comfy and cool retro look. Great idea! Big sizes are awesome too!